Can anyone book Ultimate Vietnam? Ultimate Vietnam is limited to people aged between 18 – 39 years of age. We welcome people from any country. We accommodate solo travelers, couples as well as small groups of mates. Our groups often sell out fast! To secure your place we recommend booking as early as you can, at very least one month prior to departure to still have enough time to arrange the visa. If you are looking into our Ultimate Vietnam trip then this should point you into the right direction on how to get a visa for travel in Vietnam. Option 1: Apply in person or via post at your nearest embassy – means less hassle when arriving in Vietnam, but more expensive. Option 2: Get a visa on arrival, which requires a visa invitation letter issued by an authorised agent before you leave home – seems a little easier and is also cheaper, but you’ll need to queue up when landing to actually have your visa issued. Option 3: Apply for an E-Visa online – this is only available to certain nationalities and does not permit you to enter Vietnam through all entry points, only selected ones. Generally no visa is required for travel to Vietnam lasting up to 15 days only if you are from one of the following countries: UK, France, Spain, Germany and Italy. All options are a little long-winded but when you get to Vietnam you’ll realise that it has all been worth it! 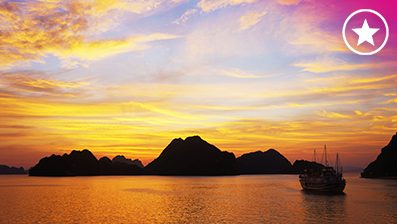 From Halong Bay to Ho Chi Minh City – Vietnam is one of the most remarkable countries in the world. Ultimate Vietnam gives you a unique experience throughout the country. 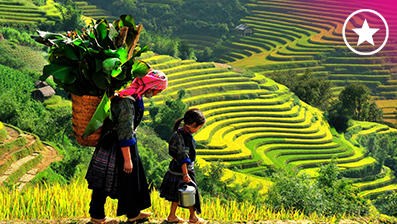 Whether it be living with a hill tribe in Sapa or lounging on a beach in Hoi An, the entire experience gives you an idea of the beauty, variety and diversity on the country. For more information about Vietnamese Visas, please click here to check out our Vietnam Visa Info page. Generally, our tour dates for Ultimate Vietnam run every 3 weeks on Mondays throughout the year with a short break in February and over New Year. They are released approximately 11 months in advance, so for plans far in the future just be sure to check in with us around then to see the exact dates. Where should I fly into/ out of? The tour begins in Hanoi so you would look to arrive at Noi Bai International Airport. However, the tour ends in the south in Ho Chi Minh City so ideally you would look to fly out of HCMC International Airport! Sometimes though it is cheaper to do a return ticket in and out of Hanoi so if that’s the case just give yourself an extra day at the end of the tour and you can jump on an internal flight up to Hanoi to catch your flight home. The amount of money you should bring will depend upon the total length of your holiday and your spending habits. It’s very easy to get by in Vietnam for as little as $20 per day. This will cover your food, basic accommodation and having fun. However, try and budget for at least $50 per day – it’s a once in a lifetime trip, so make the most of it. Ultimate Vietnam is designed for people travelling alone, to help you make friends as soon as you arrive! We travel as a group and and your tour guide will introduce you to loads more people on the trip. Is Vietnam a safe place to visit? Vietnam is a safe place to visit, as long as you follow some basic health and safety guidelines and have respect for the local people and culture. The most common dangers in Vietnam are sunburn, dehydration and hangovers, however travelling in a group with Ultimate Vietnam makes it even safer! Our tour guides have travelled extensively, and will share their experience, local knowledge hangover-cures with you. I arrive in Hanoi before the Start Date. Is that OK? Yes, it’s perfectly fine. We can book extra nights of accommodation for you and help you arrange activities to do in Hanoi when you arrive. What’s the process after I book Ultimate Vietnam? After booking you’ll be contacted by the reservations team at Ultimate Travel, who you can email with your questions at any time. 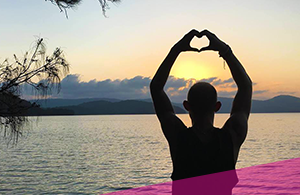 We’ll email you a confirmation of your booking, then all you have to do is arrange travel insurance, visa and your flight to Vietnam – we’ll take care of the rest! Two weeks before you’re start date we’ll also wend out “Hanoi Welcome Pack” with heaps more info for you! What happens if my flights are delayed? No worries, if your flights are delayed just email us or give us a ring and we’ll adjust your booking. Nobody wants a bowl of Pho, a bite of Bánh Mì or a bite from a mosquito to ruin the trip of a lifetime … so plan ahead and get your vaccinations sorted before you make the trip. This is a rough guide to want you have to plan against with Vietnam in mind and some of the vaccinations listed are taken care of during childhood so check with your GP before you go and book anything, just to make sure you need the jabs! Hepatitis A and B – two separate diseases with a vaccination that can be taken together or separately. Both diseases are pretty awful so tick this one off! Malaria – inland Vietnam has malaria whilst the coast doesn’t. Ideally, you should organise all this plus a trip to your GP 6 to 8 weeks before your departure. Some vaccination need 2 or more shots. Vietnam is definitely under-rated and not on many people’s travel radar.